Activision and Treyarch have announced in a new video that a new character is available for Blackout. The Replacer character is available now on PS4 in Blackout in Black Ops 4. 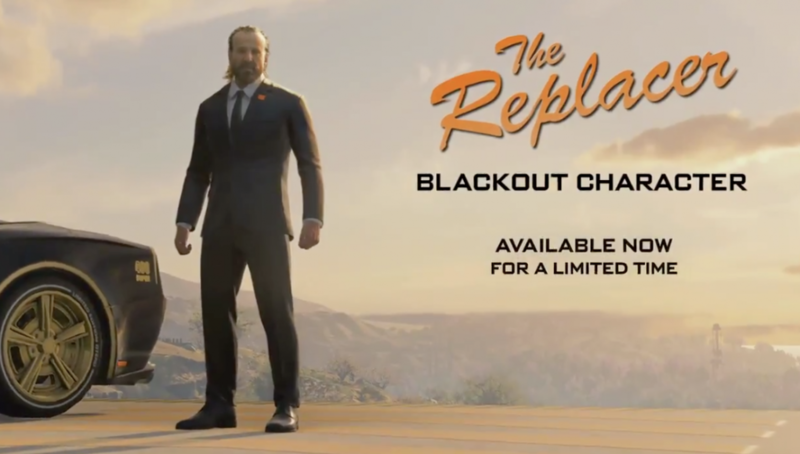 The Replacer was first introduced back in Black Ops 2 for promotional trailers for DLCs; The Replacer trailer returned for the launch of Grand Heist in Black Ops 4 in late Feb, but today marks the first the character is playable in a game. The Replacer is here to win. 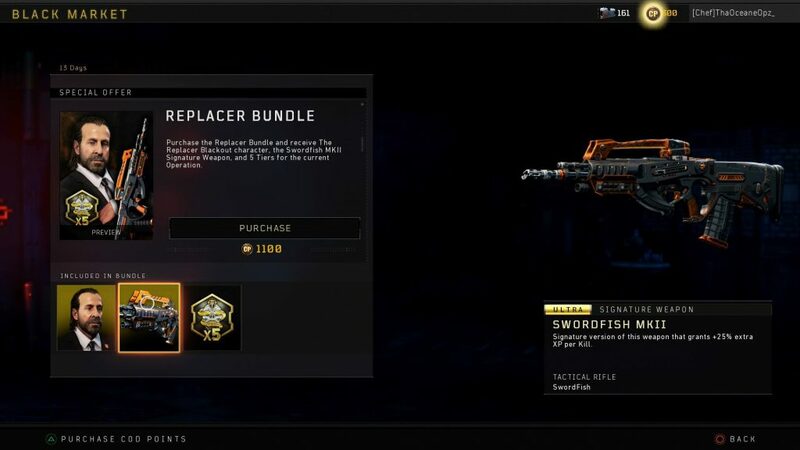 Players can access The Replacer character in game in Black Ops 4 first on PS4, with Xbox One and PC next week as a Special Bundle in the Black Market for 1,100 CP. It includes the Character, Swordfish MK11, and 5 Tier Skips. This is one of the first time a promotional trailer figure has appeared as a playable character in Call of Duty. It’s not clear what other characters are planned.